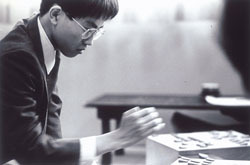 Yoshiharu Habu shocked the shogi (Japanese chess) world when, on Feb. 14, 1996, at the age of 25, he won his 7th title to become the only person in the history of the ancient board game to simultaneously possess all seven titles — Meijin, Ryuo, Kio, Oza, Kisei, Oi and Osho. 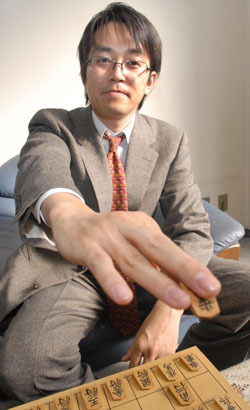 Having been through a patch where he lost and won back titles, he currently holds three — Oi, Oza and Osho — although during his career he has won no fewer than 65 title matches for those seven honors (there is no order for the titles, which are administered by the Japan Shogi Association and the newspaper sponsoring the title match). This total of 65 is the second-highest number ever won by one person, bettered only by the 80 title matches won by the late Yasuhara Ooyama, who many shogi connoisseurs regard as one of the greatest masters to have ever lived. When Habu started at the age of 6, his play was so poor that his shogi center started him off playing at the lowly 13th-kyu level instead of at the regular 9th kyu (kyu grades are awarded by each center, with 1st kyu being the top grade before 1st dan, and 9th dan being the highest grade of all. Habu is currently a 9th-dan player). It didn’t take Habu long to improve. By the time he was 11, in 1981, he had won every major junior contest in the Kanto region. 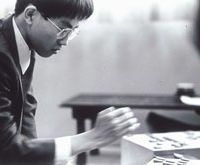 Then, in 1985, he was only the third-ever junior high school student to turn professional, and in 1989 he became the youngest-ever player to win a title — that of Ryuo — when he was just 19 years old. 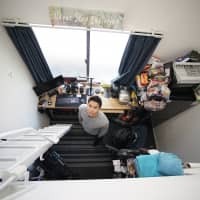 The number of amateurs playing the game in Japan reached a peak when Habu achieved his record-breaking clean sweep in 1996 at the age of 25, but then their numbers gradually decreased until last year, when they began to climb again. Currently, there are estimated to be around 15 million amateurs playing the game in Japan, while abroad it is steadily gaining in popularity, particularly in Ukraine (where there is a long tradition of chess), western Europe and China. Shogi’s roots can be traced back 4,000 years to ancient India, and to a board game known as chaturanga that was played by four people using dice. It changed when it traveled west, to become chess, and east, to become shogi. Though there is no exact date for its arrival in Japan, shogi koma (pieces) dating back to the eighth century have been excavated in the ancient capital of Nara, suggesting that Buddhist priests who began arriving in the previous century may have been the conduit. Habu was born on Sept. 27, 1970 in Tokorozawa, Saitama Prefecture. His father was an engineer at a foreign- affiliated firm and his mother a housewife. In July 1995 he married the actress Rie Hatada, and in July 1997 the couple — who live in Tokyo’s Setagaya Ward — had their first daughter, followed by a second in November 1999. 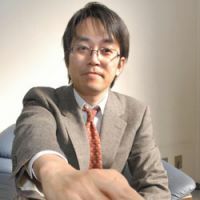 In his best-selling book, “Ketsudanryoku (The Power of Decisions),” published in 2005 by Kadokawa Shoten, which has racked up more than 300,000 sales to date, Habu elucidates what he has learned from shogi that readers might be able to utilize to improve their own lives. As a proud owner of the book, it was with much excitement that this writer anticipated the following recent interview with Habu at the Japan Shogi Association’s headquarters in Sendagaya, Tokyo. It didn’t take long to realize that behind Habu’s affable and humble exterior there was a seriously sharp mind — and a man from whom to learn a lot about life. When did you start playing, and what captured your interest? The first time I went to a shogi dojo (practice hall) was to participate in a children’s summer tournament that I’d read about in a local newspaper. I was 6 years old and in the second year of elementary school at the time. I formally started playing shogi when I was 12, when I reached 6th-kyu level. What kind of a child were you, and what other interests did you have at that time? I was just like any other kid. I mean, I liked whatever was going on at the time, so I used to play baseball and do what other kids my age would do. How have your parents affected the way you think, and the kind of person that you are? I don’t think they have influenced me in any particular way. Nothing. I entered the shogi world when I was 6, like I just said, and so I have never had to think about what I wanted to do with my life. The path has been laid out for me. Perhaps it was my fate that I saw the notice for the tournament and joined the world of shogi. How many brothers and sisters do you have, and did you play shogi with them — or fight with them? I have one younger sister, by two years. She doesn’t play shogi. We never fought with each other, probably because we are of the opposite gender. It might have been a different story if we were brothers. I got on well with my sister. In fact, she would wear my hand-me-downs (laughs). How does having a family affect your game? Not one single member of my family plays shogi, so I have never had a family member to play with. That’s good in a way, because the things your family says really hit home. I feel more “stable” now that I am married. When I was single, my life was more prone to fluctuations. What do you like and not like about shogi? Shogi is a game that has great depth to it. I also like the fact that the results of a game are very clear cut. In fact, the entire game is a process of cause and effect. However, I don’t like the fact that, because it is not a team game, winning or losing is my own responsibility. Naturally, I take responsibility for my actions, but it still doesn’t feel good to lose. How did it feel to achieve a clean sweep of all seven titles? It didn’t feel like I myself achieved it really. It felt more like I was riding on a wave of momentum at the time. When I lost one of my titles two months later, I was actually quite relieved. Having so many titles was really tiring because I would have to defend one every two months or so in a location that could be anywhere in the country. Were you always confident while playing? If not, how did you build confidence? In the beginning, I felt really bad that I had to start at the 13th-kyu level, below the normal 9th-kyu start level. However, I became more confident once I learned how to win. How do you visualize the game? Do you see your moves as images? I sometimes see a game in terms of being a single painting. If you were to compare a game to a war, how would you describe your technique? My style of play has a common theme running through it, from the beginning to the end. I try not to have an inconsistent method, or to move one by one in different directions. That is what is important to me. Winning is actually of secondary importance. What is “Habu magic”? Why do you think you have been so successful? Personally, I don’t think of my style of play as being magical at all. I just play in a way that is normal for me. Perhaps my sense of the game is different from that of others. You can’t win them all, especially when I have to play between 50 and 70 games in a year. I mean, when you think about it, if I lose it doesn’t affect the readers of The Japan Times. I try to not dwell on a loss, and I don’t take home my defeats. Shogi to me is like running a marathon — it’s a long process, and I have a long career ahead of me. That is why I try to play at the same pace. How do you keep your cool during a game? Other people don’t really care what happens in my games, so the pressure doesn’t really affect me. You may have heard about the Australian swimmer Ian Thorpe retiring at the age of 24 last year because breaking records was no longer attractive to him. What do you think about that? Well, you can’t really compare us, as he’s doing something extremely physical. Shogi is not like that, and it can be played until you are in your 70s or 80s. That’s why I have no intention of quitting. Do you think that computers will ever have a significant effect on the game, as they have had on chess? I have played against computers. 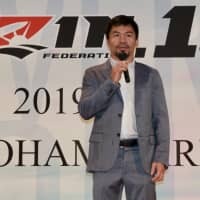 Their level of play is on the increase, and now it is at the yondan (fourth-degree out of nine) level of amateurs, but it needs to make two more major leaps for it to get to a professional level. However, having said that, next year a professional player will match up with a computer that is said to have the strongest-ever software. Is shogi becoming more international? Shogi originated in India, and it spread through Asia so that each Asian country has its own version with its own rules. This is one reason why it is relatively difficult for Japanese shogi to spread, though it is gaining popularity in China and Ukraine. I do my own little bit by supporting an acquaintance of mine in England who plays shogi. What do you think about chess, backgammon and go? I have played all three. Due to the use of dice, backgammon is a very emotional game, while go is all about occupying as much space as possible and so it is more visually related. Chess is an aggressive game that has no excess to it. Would you describe yourself as a genius? Journalists have to write that I am a genius in order to sell more newspapers (laughs), but I don’t think that I am. In a word, I’m indecisive. You have said there is a connection between martial arts and shogi; please elaborate. Maai (the distance between you and your opponent) is very important in martial arts as it is in shogi. But in shogi we have to not only think about attacking, but also retreating. We have to go ahead, but if we go too strongly we will be cut by the enemy. So it’s important to go ahead little by little, so as not to be cut. Fate smiles at the brave. What are your interests outside shogi? I like to go for long, slow walks where I don’t think of anything. In fact, when I go somewhere I usually get off a couple of stations beforehand and walk. I don’t like running because it is tiring. Otherwise, I don’t have any interests. I’ve been all over Japan and several places abroad, such as Australia and Europe. I don’t really go to museums, as I prefer to just walk through a town and see the surroundings . I’ve met many impressive people over the years. One that stands out is the former baseball player and coach Shigeo Nagashima. He must have been born with that enigmatic appeal. What have you learned from the game of shogi that helps you in your life? Everything is governed by the law of cause and effect. You mentioned in your book, “Ketsudanryoku,” that 70 percent of intuition is correct. How does intuition help you in your everyday decisions? Intuition comes from experience. I make a decision that I think is best, but it is also a decision based on preference. Would you say that the risks you take on the board make you do the same in everyday life? I think I am appreciative of the principle of cause and effect, as this is what it is like when playing the game. When I come home, I don’t talk about shogi at all with my family. To relax I go for walks or play with my children. What would you be doing if you weren’t a professional shogi player? As I said, I have never thought of that, because I joined this world when I was only 6. But if I was to do something for just a day, I would be a taxi driver. I think that’s an interesting job because you don’t know where you will go each day; you just go where you are told to go. It is different from being a train driver or a bus driver, when you have to go on the same route every day. Is it bothersome that people come up to you all the time because you are famous? Actually, when I’m in Tokyo I hardly ever have people come up to me. Maybe once or twice in all these years. People do come up to me when I’m in the countryside, but that doesn’t bother me. Do you think Japanese culture has anything to offer the world in the 21st century? Yes, it has a different way of looking at things, which I think is appealing to other countries. However, Japanese people are not very good at marketing their culture. 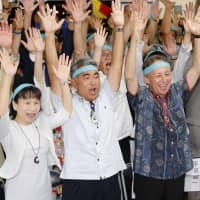 The Japanese government’s response to getting back those citizens abducted by North Korea has come in for a lot of criticism. How would you rate it from the point of view of decisiveness? It’s a very painful subject for all the people involved. I really feel for them. 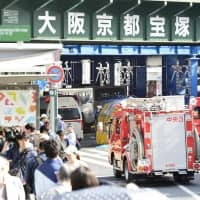 In terms of the government’s decision, it is still too early to say because not all the data about the incident has come out. Individualism is rising in Japan, but many people still can’t make decisions or take responsibility. What do you think? I think the only way for individualism to work in a healthy way is for decisions and responsibility to be a part of a unified system. As a father of two, what do you think about the current ijime (bullying) problem? Back in my day, children could play to release their stress, but now parents can’t say to their children that they should go out and play for a while because it’s too dangerous. That’s why nowadays you get children stressed out and some who don’t want to go out anymore. If there were a god, what do you think he would say to you when you reach heaven? Which historical figure would you want to be? I don’t have one, but I do think the Meiji Era (1868-1912) was an interesting one in Japanese history. Everything changed then, especially traditional culture. I don’t have any achievements really. To keep making new discoveries. I get the feeling there is no end to this process.